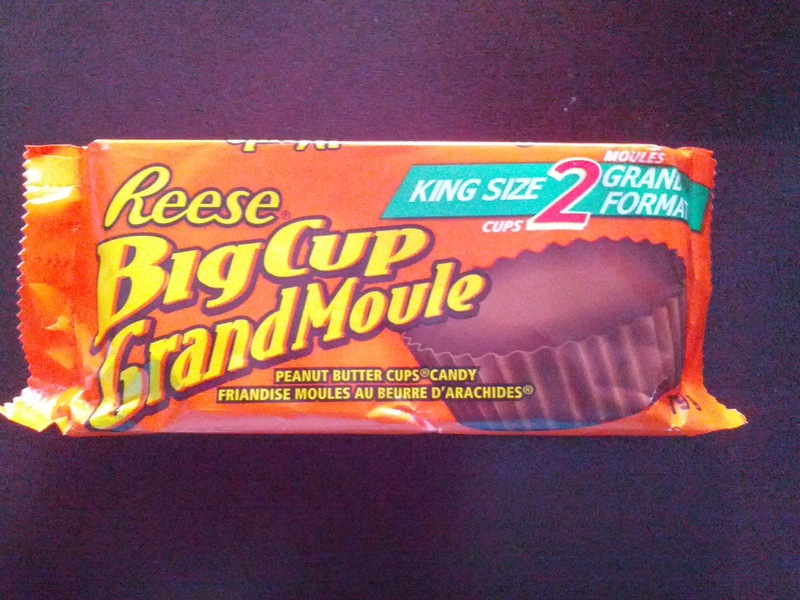 Just Random Little Things...: King Size Reese Peanut Butter Cups! I came home today to a unexpected surprise of King Size Reese Peanut Butter Cups in my fridge! It was a surprise from my husband! He knows that I LOVE refrigerated Reese Peanut Butter Cups! There's just something about it being cool, crisp and crunchy right out of the refrigerator....I mean, I won't turn it down if it's room temperature, but to me it's not as enjoyable... (I know I'm weird...don't judge!). If you've never tried it this way, you have to give it a shot! I've also never really had the King Size Reese Peanut Butter Cups. I've always had the normal size. Not sure how the King Size will compare to the regular but I can imagine that it would taste just as good (maybe better since there's more to eat!). I haven't eaten them as of yet (trying to stay off of eating a lot of sweets). I like to enjoy them while watching my favourite YouTube series, TV show or movies (Btw, I'm totally into the TV show called Suits now). Just thought I would share since it was definitely one of the highlights of my day!